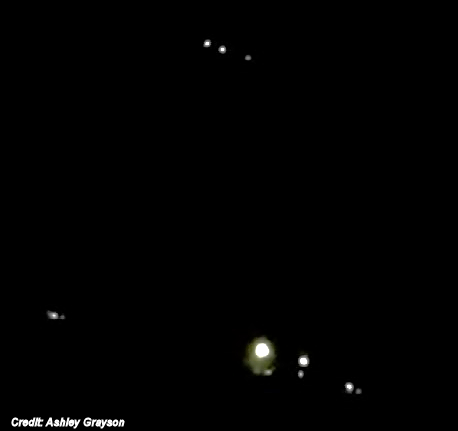 GILBERT, AZ (KPHO/KTVK)–Some people have been messaging us saying they saw some strange lights in the East Valley on Tuesday. she saw were flying from north to south, possibly from McKellips Road to about Warner Road and Val Vista Driver. She said that there were "airplanes being diverted." Another guy named Todd posted on Twitter he was at the Queen Creek wash when he saw multiple lights in the sky. He posted a video that has explicit language.